Can You be Thrown in Jail for Not Paying Your Credit Card Debt? Do You Want to Give Money You Don’t Owe to a Credit Card Company? Can You File Bankruptcy if You Have Been the Victim of Identity Theft? “Can I be thrown in jail for not paying my credit card debt?” What about other unsecured debt like a broken apartment lease, a car repossession deficiency, medical bills or personal loans? The short answer to this question is “no,” there is no debtor’s prison in the United States and an unsecured creditor like a credit card company cannot contact your local police department and have you picked up and thrown in jail. If a bill collector threatens you with incarceration, that bill collector is almost certainly violating the Fair Debt Collection Practices Act (FDCPA) and you could sue that bill collector for money damages for making an idle threat. there are some circumstances where you could find yourself facing jail time if you ignore or refuse to cooperate with the litigation process. Here’s what you need to know. First, if you owe money to a credit card company, or for a medical bill or any other unsecured debt, the only remedy that your creditor has is to “dun” you account (call you or write you to remind you of your obligation) or to file a civil action lawsuit against you to obtain a civil judgment against you. If a creditor files a collection lawsuit and wins by default (you failed to answer) or wins at trial, that creditor will obtain a judgment. They can take that judgment to your bank to seize whatever money you have in that account, or they can take that judgment to your employer and garnish your wages to the extent permitted by state law. Collection lawsuits to recover money are part of the civil justice system. Civil matters are about money only and involve one party (the plaintiff) suing another (the defendant). By contrast a criminal action occurs when a governmental unit like the State of Georgia or the United States of America files a criminal complaint against you. The government is represented by a prosecutor (i.e., the District Attorney, U.S. Attorney or equivalent) and the remedy is either a fine, jail time or both. The government is the only entity that can start criminal proceedings against you. If a creditor like a credit card company or an apartment complex wants to pursue criminal charges they have to take their complaint to the District Attorney or U.S. Attorney and the prosecutor has to agree to pursue criminal proceedings against you. In very rare circumstances, an unsecured creditor can convince a prosecutor to take out a criminal warrant against you. For example if you are engaged in fraud like opening multiple credit card accounts in fake names or using fake Social Security numbers, you would be violating both state and federal law and you could face prosecution. Simply not paying a debt you owe because you don’t have the money is not a criminal offense. Second, you need to understand that the debt collection process can involve more than a lawsuit, and that’s where you can find yourself in trouble. If a creditor like a credit card company sues you and obtains a judgment, they have the right to conduct post-judgment discovery to force you to reveal where your money is located and where you work. Post-judgment discovery can take the form of interrogatories (written questions), requests for production of documents, and depositions (sworn testimony under oath recorded by a court reporter). If you refuse to respond to discovery questions, refuse to appear at a deposition or otherwise refuse to participate in discovery, the judgment creditor can ask the judge to hold you in contempt of court and to have you incarcerated. You would be jailed not for owing money, but you could be jailed for being in contempt of court for refusing to answer questions about where your money is located or where you work, or for giving false answers to these questions. Sometimes a defendant in a civil matter does not cooperate with discovery because he doesn’t know how to respond, or, in some cases because he never got served with any paperwork at all. Courthouses are very busy places and judges rely on lawyers to offer accurate information. 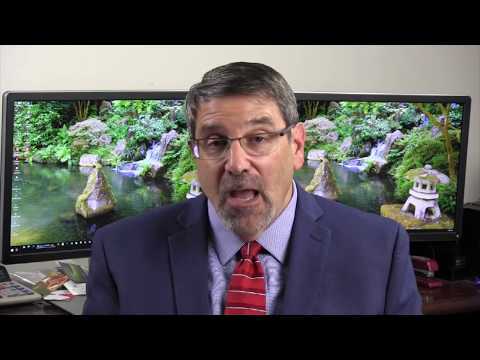 If the lawyer for the judgment creditor sees that a person named “John Smith” was served with the lawsuit and post-judgment interrogatories and your name happens to be “John Smith” you could find yourself behind bars without knowing why. In some busy jurisdictions, aggressive creditors (mis)use the contempt power of the civil court system to cause judgment debtors to be incarcerated. Needless to say, it can be very difficult to unwind a contempt action when you are sitting in a jail cell. This type of incarceration for contempt of court does not happen a lot but it does happen enough to mean that you should be aware of the problem. The most important think you can do is to take action if you are ever sued. You will know that you have been sued if a sheriff’s deputy or a process server knocks on your door and hands you a stack of papers. Don’t ignore this – the problem will not go away. Second, review your credit reports every year. You can download a copy of your credit reports for free at AnnualCreditReport.com. Usually your credit reports will show that you have been sued. Finally, if you ever receive any sort of letter suggesting that you have been sued, take action to find out if this is true. Many courts have online access where you can look up pending lawsuits. Bankruptcy lawyers can also find out for you as well. If you owe money, you may be tempted to try to avoid dealing with your debt problems in the hope that creditors may go away. This is not a good strategy. You are always better off with a proactive approach and addressing your debt problems head on. The odds are very small that a creditor will use a court’s contempt power to have you thrown in jail. But it does happen and you should not assume that you are immune from this situation. If you are struggling with debt and want to speak to an experienced Atlanta area bankruptcy lawyer, please call our office at 770-393-4985. The post Can You be Thrown in Jail for Not Paying Your Credit Card Debt? appeared first on theBKBlog. I received this letter today from American Express regarding the balance owed by one of my Chapter 13 bankruptcy clients whose case was dismissed. The letter acknowledges that because of the age of the debt, Amex cannot sue my former client, nor can they report the unpaid balance to the credit bureaus. Yet they are giving him the opportunity to “settle” this debt for 45% of the balance. Can you think of any reason why anyone would pay Amex anything on this stale account? I can’t. But I wonder how many people agree to make payments and possible waive the statute of limitations bar to collections. If you get a letter with a notice that the debt is stale, don’t even think about making a payment. The post Do You Want to Give Money You Don’t Owe to a Credit Card Company? appeared first on theBKBlog. If you have been a victim of identity theft, you can file bankruptcy but you need to be prepared for potential complications. Identity theft is a big problem in 2018 and a number of large retailers and even credit bureaus have been hacked. Personal and financial information about millions of Americans is available for sale on the “dark web” and criminals use this stolen data to open credit card accounts, sign for personal loans, and even buy houses and cars. You will not know that there was a problem at all until the bills start to arrive. I have personally been a victim of identity theft twice. One time, a thief got hold of my credit card number and charged $5,000 to a custom suit maker in Hong Kong. In another instance, a fraudster hacked my American Express account and purchased (and picked up) a high end desktop Mac. In both of these situations the credit card company accepted my fraud report and canceled all charges. If you find yourself with identity theft problems, you will discover that fixing the problem can take a lot of time and effort. Banks and other lenders may not believe you and will pursue collection. The fraudulent accounts in your name may be sold to collection agencies who don’t care that you are alleging identity theft. You may find yourself with lawsuits, endless collection calls and damaged credit. You may decide to use bankruptcy as the tool to address identity theft problems. Bankruptcy may be an attractive option if you have other, legitimate, debts that you need to deal with as well. When you file bankruptcy, you will force all of your creditors – both legitimate and those arising from identity theft – to deal with you at one place and at one time. If your case goes through to discharge, you will be forever clear of creditor claims. On the other hand, your creditors have the right to object to either the discharge of a specific debt or to your bankruptcy as a whole. These types of objections are rare but if the amount at issue is large, creditors will file objections. If you find yourself facing bankruptcy objections you will have to incur the cost of paying a lawyer to defend you. This may seem very unfair but if a creditor initiates bankruptcy litigation you need to respond. My experience has been that you can avoid finding yourself in litigation by taking proactive and documented steps to report the identity theft and to file police reports for every instance of identity theft. You cannot sit back and assume that just because you did nothing wrong, you won’t end up owing money. If a creditor’s lawyer contacts me prior to filing a bankruptcy objection and I can provide that lawyer with copies of police reports, letters to creditors and credit bureaus and other evidence that you are not at fault, there is a much better chance that the creditor’s attorney will recognize that he is likely to lose his objection to your bankruptcy and that he will advise his client to back down. If you have been a victim of identity theft and think bankruptcy might be an option to deal with this problem, please reach out to me – I’d be happy to help. The post Can You File Bankruptcy if You Have Been the Victim of Identity Theft? appeared first on theBKBlog. When you file either a Chapter 7 or a Chapter 13 bankruptcy, you are allowed to declare certain property as “exempt.” Exempt property does not count as an asset for bankruptcy calculations. This is why you will not have to give up household items like your clothes, kitchen utensils and furniture when you file bankruptcy. Exemption analysis can be one of the more confusing parts about filing bankruptcy. The Bankruptcy Code says that every state has the option of creating its own list of exemptions or state legislatures can defer and use a list of exemptions set out in the Bankruptcy Code. The Georgia legislature has chosen to “opt out” of the federal scheme and the Georgia legislature has passed a list of exemptions which can be found at the Official Code of Georgia, section 44-13-100. With limited exceptions for people who have recently moved to Georgia, bankruptcy filers who live in Georgia must use the Georgia exemption statute in their bankruptcy filings. So, even though the bankruptcy laws are issued by the United States Congress, Georgia bankruptcy filers use Georgia state law when it comes to identifying property that they can protect in their bankruptcy petitions. If you have been researching bankruptcy on the Internet, you can easily get confused because blogs and websites produced by non-Georgia lawyers will reference exemptions that don’t apply to Georgia filers. Further, the Georgia legislature has been updating (and increasing) the exemptions available to Georgia filers and many websites published by national legal publishers are not updated. Currently, for example, a very prominent and well respected legal publisher whose site appears at the top of Google’s rankings shows an version of Georgia’s exemptions statute that is outdated by more than 5 years and completely inaccurate. Because the Georgia legislature does change the exemption statute every year or two you should be very careful about accepting as true anything you see on the Internet about exempt property in Georgia. I am writing this article at the beginning of 2018 and I intend to keep it updated but if I was researching bankruptcy I would confirm anything I read with an experienced personal bankruptcy lawyer. the state includes a few more categories that apply in limited circumstances – you can read the actual statute here. If you are married and file jointly with your spouse, you may double the exemption amounts. How Do Exemptions Work in Your Bankruptcy Filing? When you declare property as bankruptcy, that property does not exist for bankruptcy purposes and neither the trustee or creditors can assert any claims on it. In a Chapter 7 bankruptcy, one of the jobs assigned to the trustee is to marshal your assets, sell them and distribute the proceeds to your creditors based on a priority system set out in the Code. When you declare your assets as exempt, the trustee cannot grab your assets. You will notice that the law allows us to “stack” your exemptions – in the example above, I was able to add the motor vehicle exemption to the wildcard exemption to protect all the equity in the car. However, there is no exemption remaining to protect the truck – it is considered non-exempt equity. So in this case, the trustee would ask you to turn the truck over to his/her office, sell it and distribute the proceeds to creditors. In the alternative, you could approach the trustee and offer to “buy the estate’s interest” in the truck with funds borrowed from a relative or friend. As a practical matter, most Chapter 7 cases are “no asset” cases, meaning that everything the debtor owns is exempt. In a Chapter 13 bankruptcy, your non-exempt equity is one factor to determine how much you pay in your Chapter 13 plan. Unsecured creditors in Chapter 13 have to receive at least as much as they would in a Chapter 7 liquidation. As you can see, the wildcard exemption can make a huge difference in either Chapter 7 or Chapter 13. For an individual, we have up to $11,500 of exemption to apply to any property, and for a joint filing we have $23,000 to apply to any property. The wildcard can be added to any other exemption (as shown in the example above) or it can be used for cash. Many times, the wildcard exemption can make the difference between choosing Chapter 7 vs. Chapter 13, or it can reduce by thousands what you have to pay back in your Chapter 13. Since $10,000 (or $20,000 in a joint filing) of the wildcard available to you arises from your real estate exemption, it is worth your while to spend a little time coming up with an accurate real estate valuation. In general, I am looking for the lowest real estate valuation that I can defend. I recommend to my clients that they call a local real estate agent for a “drive by” valuation that takes into account any needed repairs. I also look at Zillow.com (many trustees use this site to estimate valuation) and if the drive by appraisal is significantly lower than Zillow I many recommend a more in-depth drive by appraisal or perhaps a more formal appraisal. 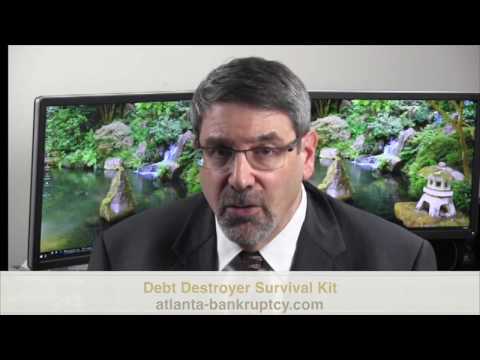 If you are considering filing personal bankruptcy in the Atlanta or north Georgia area and you need advice about how to maximize your use of bankruptcy exemptions, please reach out to me – I’d be happy to walk you through the calculations. The post How the Georgia “Wildcard” Exemption Can Save You Thousands When You File Bankruptcy appeared first on theBKBlog. If you are behind on your mortgage, you can use Chapter 13 to stop a pending foreclosure and repay missed payments over the 5 year term of your Chapter 13 plan. However, filing your Chapter 13 case is only the first step in saving your home. In Atlanta area Chapter 13 cases, your repayment plan will include a section which says that you agree to send in your regular mortgage payments as they come due during the term of your Chapter 13 plan. Your Chapter 13 trustee payment includes payments to the mortgage company to repay missed payment. Ongoing, future payments, must be paid directly to the mortgage company outside your plan. Making your mortgage payments directly to your mortgage lender is part of your plan obligations. Both your mortgage payment obligation and your obligation to pay your trustee start immediately after you file your case. In fact, you will not be able to get your Chapter 13 case confirmed (approved) by the judge if your post-petition mortgage payments are not up to date. During the course of your case, if you fail to send in your ongoing monthly mortgage payments, several bad things will happen. First, there is a good chance that your mortgage lender will file a Motion for Relief from Stay and ask the bankruptcy judge to lift bankruptcy protection so the lender can restart foreclosure proceedings. Second, your options to save your home will all but disappear. Once a motion for relief has been filed, you cannot voluntarily dismiss your Chapter 13 and then refile – if you dismiss, you will not be allowed to refile for 180 days – plenty of time for the lender to complete a foreclosure sale. Fortunately, most lenders will negotiate with you and your lawyer to allow you to catch up your delinquent post-filing mortgage payments. Obviously this will require cash flow but it is another opportunity to save your house. Chapter 13 can be very confusing because of all the technical rules. The one thing that makes Chapter 13 work is money – payments to your Chapter 13 trustee and direct payments to your mortgage lender. The post Why You Must Pay Your Mortgage Directly After Filing Chapter 13 appeared first on theBKBlog. What Happens After Your Chapter 13 Plan is Confirmed? What is the Secret to Making Your Chapter 13 Plan Work?